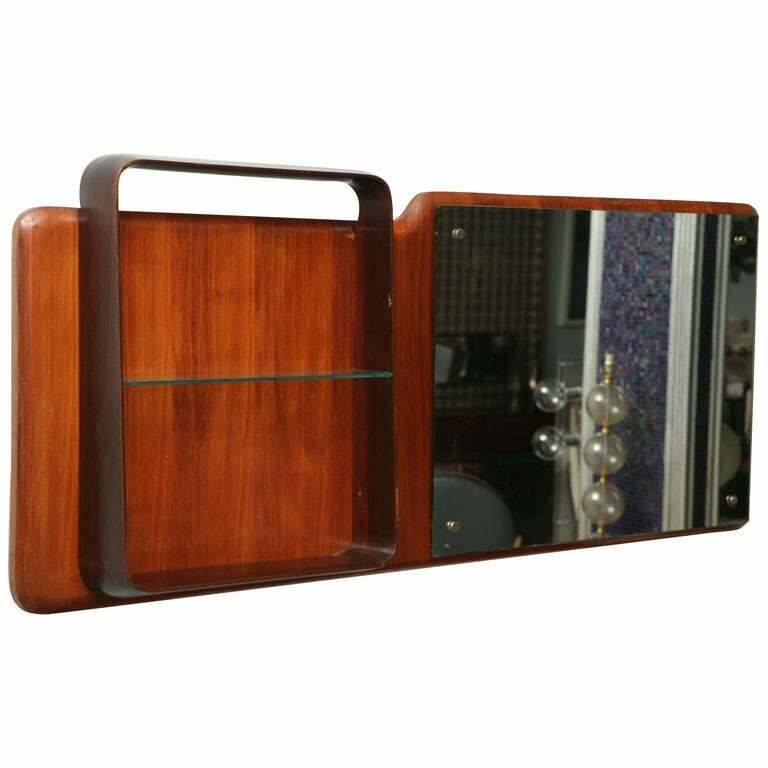 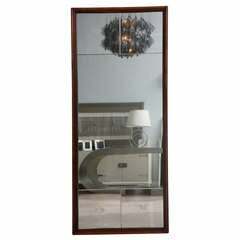 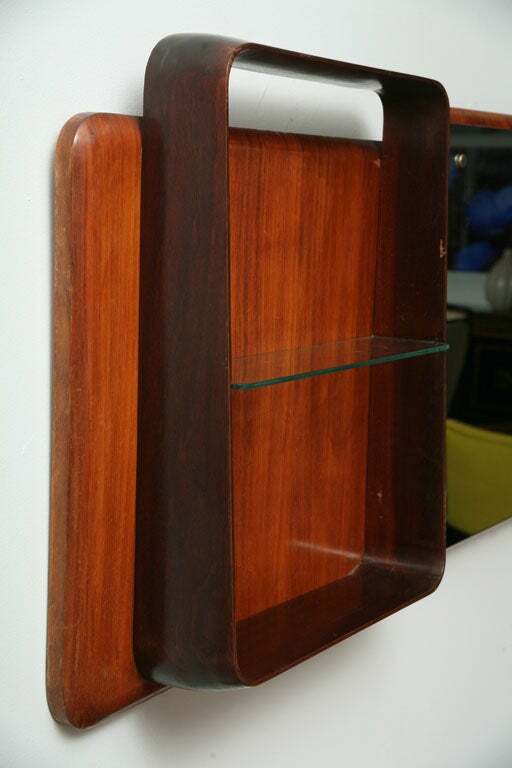 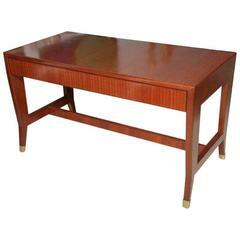 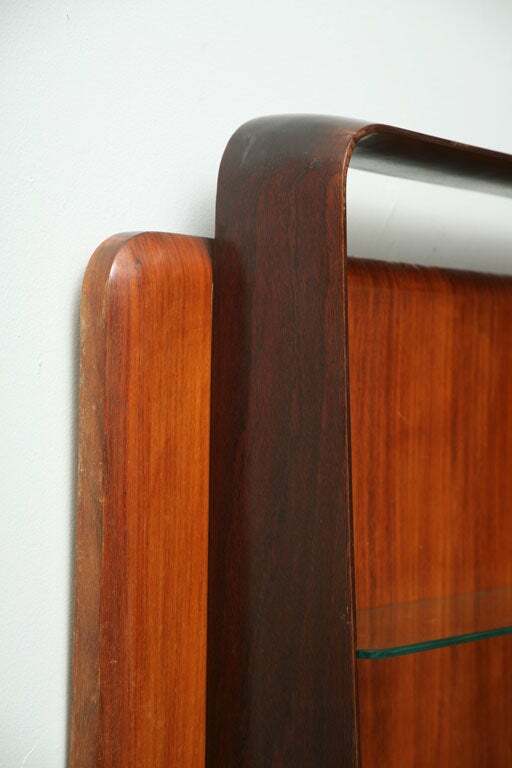 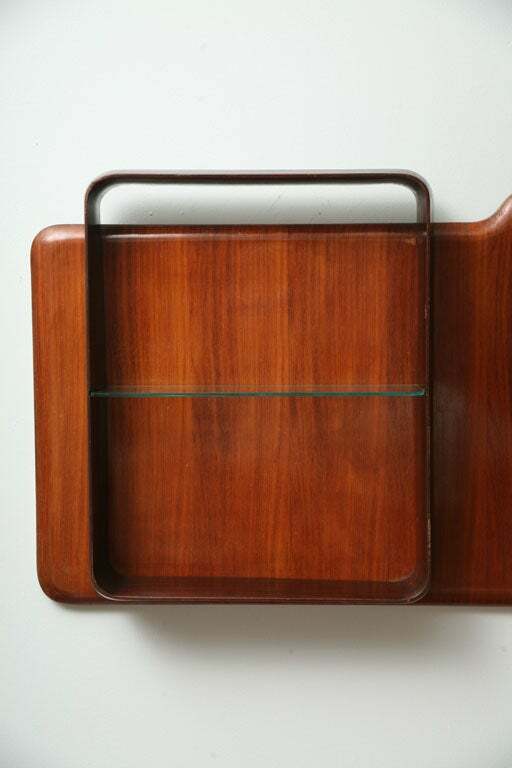 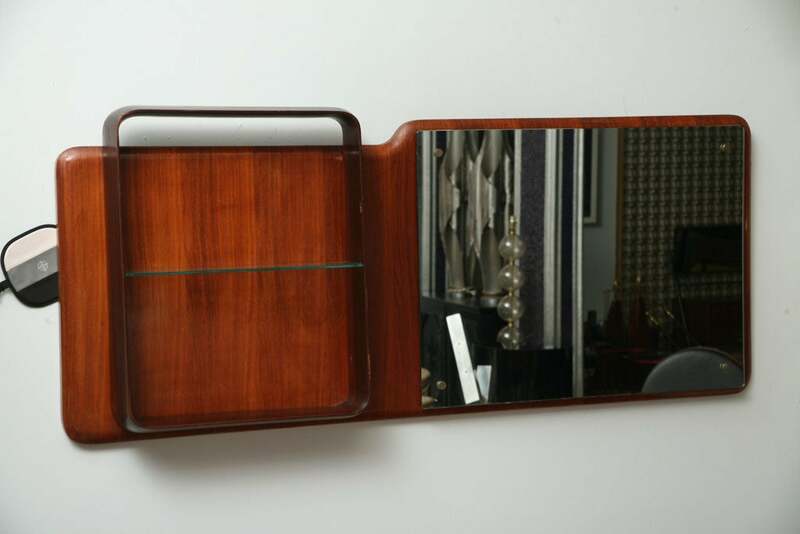 The mahogany frame with an applied overframe with glass shelf and mirror flanking. 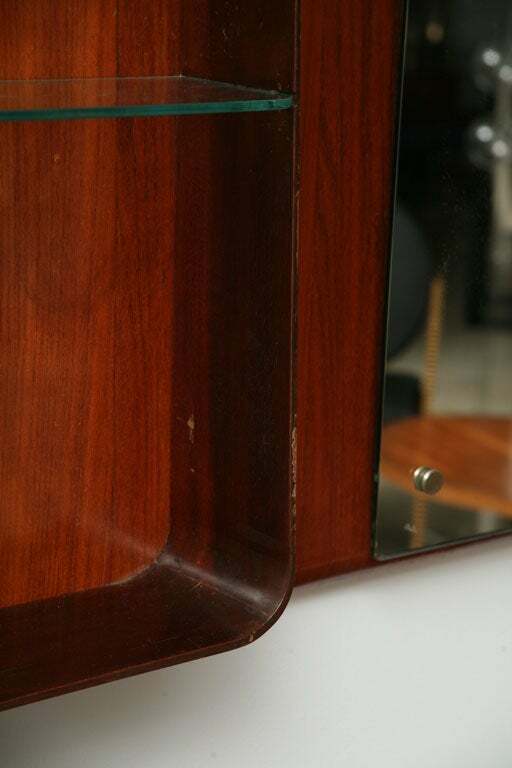 A mahogany frame surrounds the mirror which features animals representing the four seasons etched into each beveled corner. 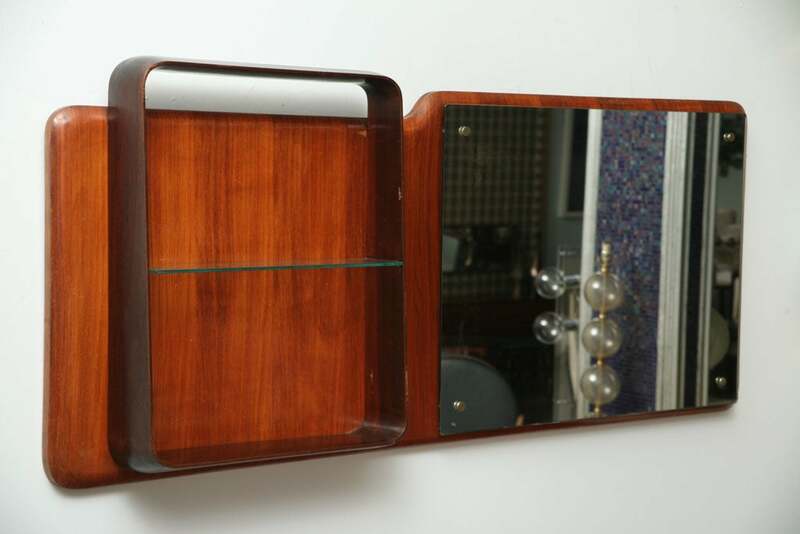 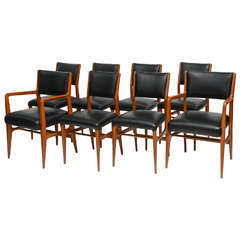 The set comprising two arms and ten sides made for Singer and Sons in 1950. 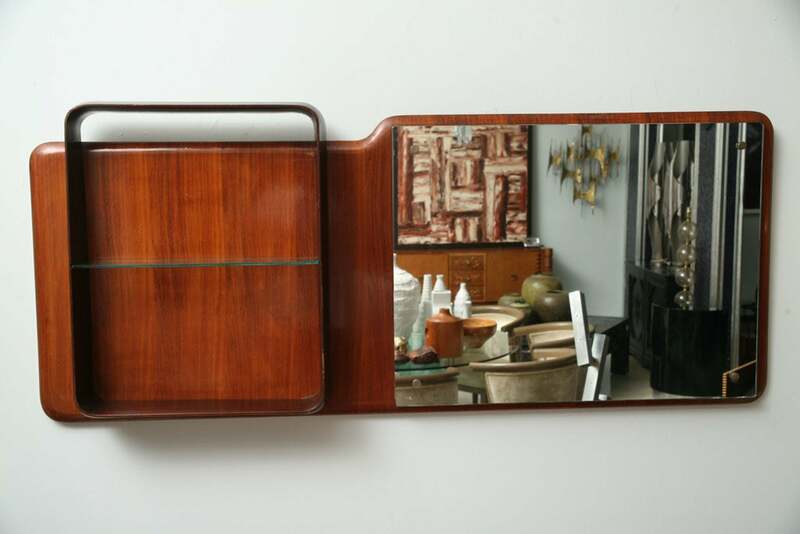 Karl Springer Style goatskin octagonal mirror of typical form- provenance Christies New York. 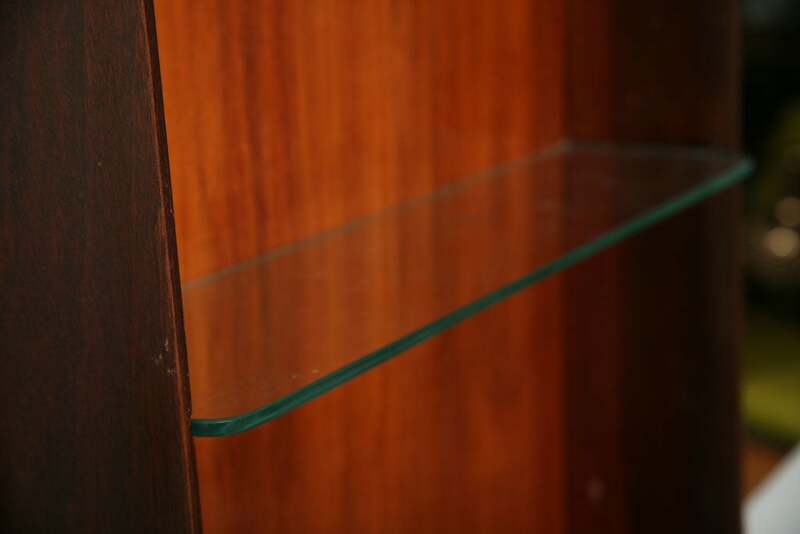 Mid-Century Modern Italian circle dark green glass framed mirror in the style of Max Ingrand, 1970s. 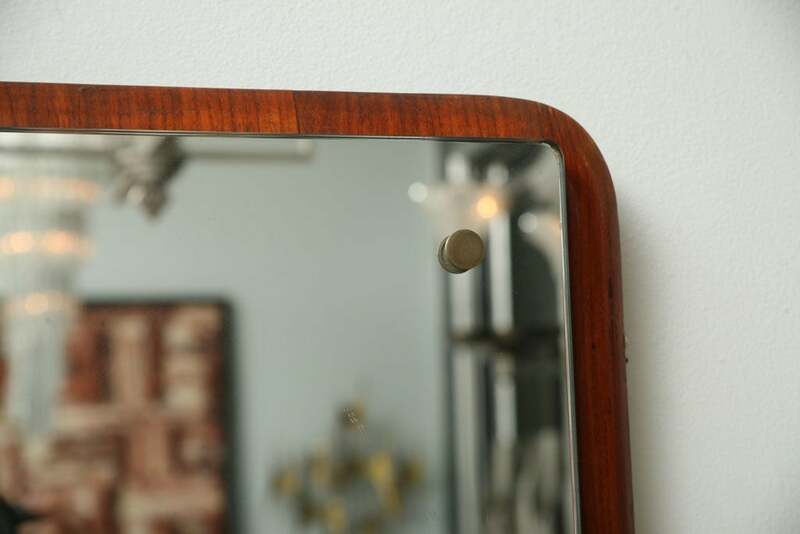 A pair of Italian brass framed mirrors in the style of Gio Ponti, dating to the 1950s. 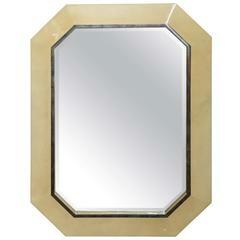 Italian 1950s style brass mirror at the manner of Gio Ponti.